HIROO FUJITANI is freelance and his current projects are with black and white photos which are portrait, cat and sometimes wildlife. He adds that prefers beautiful mode and fashion. He learned photography at the technical school while a permanent servant of the Ministry of Education in his twenties. Meanwhile, a person who pursues studying human genome science in academic institution. If you feel co-operation with Hiroo will be helpful him, please to e-mail. MonoVisions, News - 'THE LYRIC POETRY - A Cat". Feb 2019. Photography World News. "The world’s photography news from across the web! " Sept. 2017.
International Photogrvphy Magazine, Photo Features/ Interwiew. 28th July 2016. Fotografia Diária, Seu ponto de partida para a fotografia, Portugal. Tokyo International Foto Awards, Bronze-3rd prize, 2017. Fine Art Photography Awards, Open, London, Gold-1st prize, 2016. ND Awards, Silver-2nd prize, UK, 2016. Tokyo International Foto Awards, Bronze-3rd prize, 2016. One - Shot Themed Photo Competition, Honorable, The Lucie foundation.Usa., 2018. IPA/International Photography Awards, Honorable, The Lucie Foundation, Usa., 2017. Moscow International Foto Awards, Honorable, Moscow, 2017. Monovisions Photography Awards, Honorable, UK, 2017. Fine Art Photography Awards, Honorable, UK, 2017. Monochrome Awards, Honorable, UK 2016. Family of man/ Honorable, The Lucie Foundation, Usa., 2016. Moscow International Foto Awards, Honorable, Moscow, 2016. Fine Art Photography Awards, Honorable, UK, 2016. IPA/International Photography Awards, Honorable, The Lucie Foundation, Usa., 2016. The International Photographer of the Year, Honorable, UK, 2016. Monochrome Awards, Honorable, UK, 2015. IPA/International Photography Awards, Honorable, The Lucie Foundation, Usa., 2015. The International Photographer of the year, Honorable, UK, 2015. 2017 winner's works, Tokyo - Bronze-3rd prize, 2018. 2016 winner's works, Tokyo - Bronze-3rd prize, 2017. 2017 Tokyo International Foto Awards, Bronze-3rd prize, 2017. 2016 Fine Art Photography Awards, Open, London, Gold-1st prize, 2016. 2016 ND Awards, Silver-2nd prize, UK, 2016. 2016 Tokyo International Foto Awards, Bronze-3rd prize, 2016. He was born and resides in Tokyo and raised in Hokkaido. photos which are portraait, cat or wildlife. He learned photography at the technical school-evening course weekday for one year and half after a permanent servant job of the Ministry of Education daytime in his twenties. Then he experienced as an assistant under the commercial photographer though it was very short time and a wedding photographer. 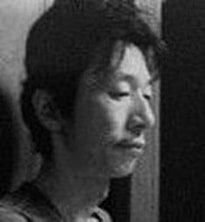 He does'nt know but they often say that Hiroo probably is not an artist but a scientist.In fact, He is a person who engages in studying the relation between desease and human gemome in academic institution, while also exploring photos at present. If you think donate or co-operation with Hiroo will be helped him for creating new photography. It's welcome and thanksful. L'oeil de la Photographie - "Portfolios of readers", 2017, France. MonoVisions, "Best black&white photos from the ND Awards 2016. ", UK. Il Canto delle Muse , Italy . Fine Art Brasil, Brasil. "Inscrições abertas para concurso internacional de fotografia Fine Art". CHINANEWS, Fine Art Photography Awards 2016., Usa.